July 2017 – The 5-star family owned and operated, Kurland Hotel, outside Plettenberg Bay, is proud to announce the completion of its soft refurbishment and celebrates the same with a new 2017 winter package. The refurbishment consists of exquisite fine linens in all the suites, including the children’s lofts, plush carpets throughout, paintwork and refreshed landscaping of the substantial gardens also include the appropriate planting of sweet peas and pansies to assist with the transition period of the roses coming in to bloom in the summer months. Sweet peas are also significant due to the new look Spa, managed by ‘Sweetpea Spa’ of Plettenberg Bay now offering an extensive menu of treatments and products for all the family to enjoy. 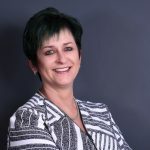 As a result, Tourism Grading Council of South Africa once again graded Kurland Hotel as a 5-star family hotel and destination. 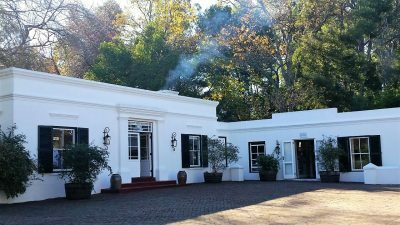 The Executive Chef has created new culinary options, which includes the ever-popular Kurland High Tea (Café Complet), which can be enjoyed snuggled up by the roaring fires in the Homestead or alfresco in the courtyard or on the verandah. Adding to this is a new extensive breakfast menu, the new Kurland curry options and fine dining lunch and dinner menu. To celebrate the refurbishment, Kurland has created a ‘Stay 4 Pay 3’ package – stay four nights and pay for only three nights per couple sharing. The winter and 2018 rates have also been released and can be obtained directly from the hotel. Comments owner Peter Behr, “Fortunately we were not affected by the recent fires in the area and our thoughts go out to those that were. We chose to do the soft refurbishments during the winter months as more and more families are exploring the Garden Route in search of quality time together and we really wanted to offer a fresh new look. Plus the moderate climate Plettenberg Bay is known for makes it an ideal location for family activities.” Mountain biking, horse riding or languid walks on the extensive . . . The Noordhoek Dive Festival broke all records and established itself as South Africa’s top Dive Festival Happening with 850 Dives Sold. 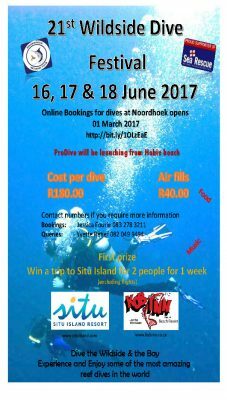 2017 will be the 21st Noordhoek Dive Festival since its inception in 1996. The strength of the Noordhoek Dive Festival is based on the extent of its history & coverage package including: Goal 900 Dives for the three days An outstanding safety record The objectives of the dive festival include building the national and International element of the festival, making it the “WINTER DIVE FESTIVAL” happening in Southern Africa. To build the National element allowing growth, as well as a cultural exchange programme. To involve the local community and businesses in attracting friends and relatives to the festival and to build community pride. To produce an exciting 3 day diving programme that will attract divers from all over the world to our City as well as give those participating an amazing experience - with the goal of 900 dives To create an opportunity for tourism to promote events in the Nelson Mandela Bay area The main Beneficiary of the Wildside Dive festival will be the NSRI (National Sea Rescue Institute) CLICK HERE to submit your press release to MyPR.co.za. . . .